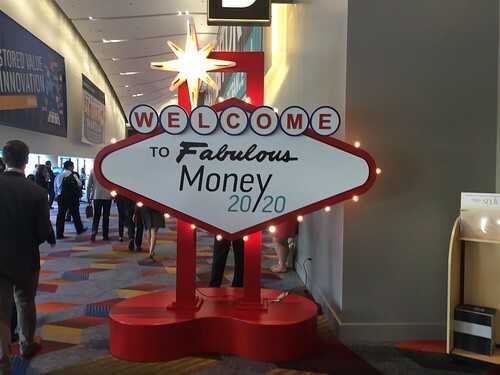 Money2020 was pretty different this year. 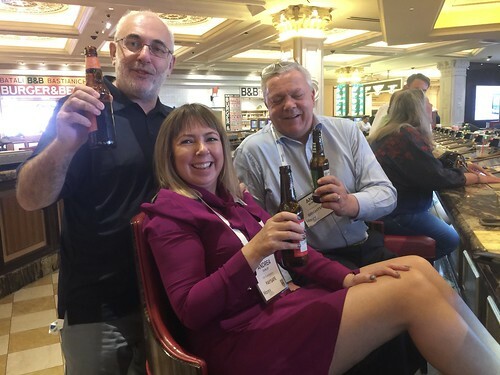 I’m glad I went, it remains one the most important events in our calendar and it’s a fantastic opportunity for Consult Hyperion folk to meet up with all of our key customers and soon-to-be customers. And I’ll go again next year. But… it’s not like in the old days. 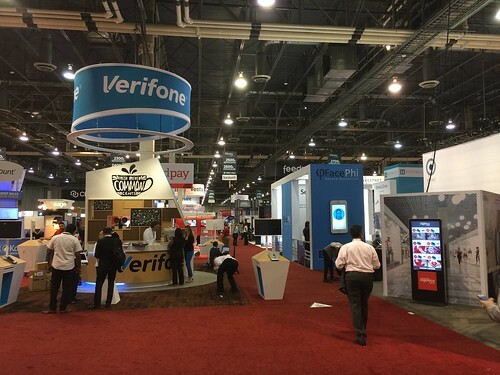 Money2020 has matured into a mainstream business event. It’s no longer a place where people go to see fascinating presentations on what a blockchain is or how P2P lending works. It’s not longer a place where people go to watch passionate debate on panels full of conflicting views of the future. It’s a place where people go to do serious business. Here I am, for example, engaging in an in-depth discussion about the business opportunities for Payment Service Providers (PSP) because of the European Commission’s Second Payment Services Directive (PSD) open API provisions on the retail payments ecosystem in the UK, in the light of the UK Treasury’s parallel initiative, the Open Banking Working Group (OPWG). I told our commercial chap Nick that I’d been into the conference and was a bit bored. He told me that we’ve done five times as much business at the event this year as we did last year. 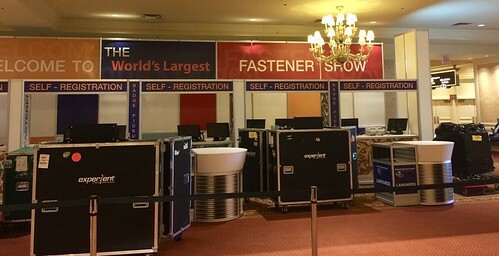 I couldn’t help but reflect on the fact that next door to Money2020 was the National Fasteners Conference. I’m afraid to say it, but this is the vision of a successful future: a trade show where everyone goes to do real business year after year. I spoke to a few other people about this. There was a feeling like we all know that SXSW will be more fun, but Money2020 will make us more money. And to be fair, Money2020 was bigger, better organised and easier to navigate than ever before. They’ve built a very successful show. The main reason that I was at the event (apart from to make money for the company, of course) was because I had been invited to moderate one of the financial inclusion panels and I chose to focus on what the US could learn from emerging markets when it comes to the topic. They asked me who I would like to have on my panel and my first pick was Professor Lisa Servon from Penn. Lisa wrote one of the best papers on financial inclusion that I have ever read and I thought that the best way to explore the many aspects of the issues pertaining to the small percentage of American’s who are unbanked (perhaps around 7%) and the much larger proportion who are underbanked (perhaps 20%) would be to go to a Cirque de Soleil show, so I chose their Beatles show. It was great, by the way. I was delighted to welcome Lisa on board along with Jed McCaleb from Stellar, Michael Schlein from Accion, Daniel Monehin from MasterCard and Arjuna Costa from Omidiyar Network. Michael wrote a very good blog post on the key takeaways from this panel so there is no need to repeat them here. What I will say is that the panelists received a well-deserved compliment later in the week when I was told that is was one of the stand out panels of the event, and I wasn’t surprised. I refused to have a set script so I asked them interesting questions and they responded with interesting answer, discussion and debate. A great start to the event. 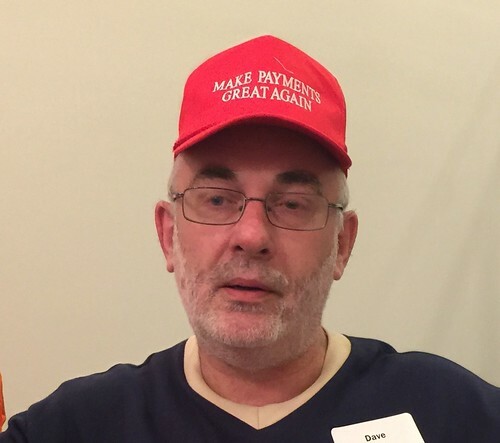 I started to become somewhat deranged on the second day, partly because of lack of sleep, partly because of the over-stimulation at Bruce Parker’s top secret Payments Illuminati dinner (which had, I have to say, one of the best ice-breaker strategies I’ve ever come across at such events) and partly because of the amount of nonsense being talked about the blockchain was getting out of control. As you can see, my mental state was beginning to deteriorate. Someone tells me that the blockchain is going to revolutionise something or other. 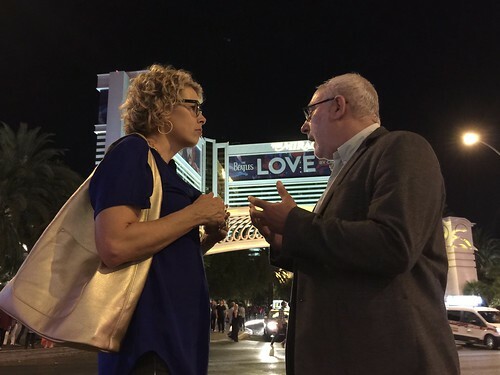 So I say “wow that’s great – how?” and they begin to describe some fantastical elaboration of some sort of distributed database with wholly mythic qualities and tell me “there, see”. I think perhaps some of his has to do with Money2020 Europe locating in Copenhagen, home of Hans Christian Anderson and his fairy tales. The spirit is permeating the event. I swear I saw a presentation that might as well have been about magic beans for all of the actual content it had or education it delivered. I was losing it, no about. In fact, the more I start to think about it, the more the whole thing seems like it was one big fairy tale. Most of the stories I heard weren’t true, they were marketing, and that’s a sort of fairy tale. The Tale of the Ugly Blockchain. There once was a little blockchain. He didn’t use proof of work to form consensus, so all of the other blockchains made fun of him. You’re a quack, they told him. Quack, quack. And the little blockchain was very unhappy. But one morning the ugly blockchain was out playing by himself, because none of the other blockchains would play with him. In fact, they were chasing him with a hard fork. But then, as passing consultant saw what was going on and came over to help him. “Hey,” said the consultant, “what is a beautiful shared ledger like you doing out here with these ruffians?”. He wasn’t a blockchain after all, he was a double-permissioned shared ledger with a practical Byzantine fault-tolerant multi-round consensus algorithm! And he lived happily ever after. Glad to see that you continue to be in the midst of things. Love love love the ugly blockxhain fairy tale!! !